All consecrated buildings and burial grounds are subject to the jurisdiction of the Diocesan Bishop. The Bishop does not exercise this jurisdiction personally, but through the Chancellor of the Diocese, who is one of the two legal officers of the diocese, the other being the Diocesan Registrar. Most of the Anglican church buildings in England are listed buildings, that is to say, the local authorities concerned have listed them as being of architectural or historic interest. The consequence of the listing is that where a secular building is listed, it is necessary to obtain Listed Building Consent from the local planning authority before any alterations can be made. However, Anglican churches in use are exempt from the requirement for Listed Building Consent, because of the control which the Church of England exercises through the Faculty Jurisdiction. This is known as the "ecclesiastical exemption", but it does not exempt a Parochial Church Council from the need to apply also for Planning Permission and/or Building Regulations Approval in a case where Planning Permission and/or Building Regulations Approval would normally be required, for example, in relation to the proposed extension of a church building. Apart from matters within List A of Schedule 1 of the Faculty Jurisdiction Rules 2015, no alterations may be made to a consecrated building or burial ground without the authority of the relevant Archdeacon for matters within List B. Matters not falling within List A or List B or which are Excluded Matters (see paragraph 3 below) will require a permission called a Faculty before work can commence. Any memorial or other structure on land within the curtilage of a consecrated church is also subject to the Faculty Jurisdiction (whether the land is consecrated or not), unless the memorial or other structure is itself listed, in which case an application must be made to the planning authority for Listed Building Consent to authorise the alteration or removal of it. List A in Schedule 1 of the Rules replaces with a single list for all dioceses the former diocesan "minor matters" lists which each Chancellor used to publish following consultation with the Diocesan Advisory Committee ("DAC"). These are matters which may be undertaken without a Faculty, subject to any condition specified in List A, and without the need for any consultation outside the parish. The scope of matters in List A has been set deliberately wide in the interests of simplification and removal of unnecessary burdens, and does not include any financial limits. Attention is drawn in particular to A1(2) (Repairs and replacement of fittings in existing kitchens, lavatories and office accommodation in church buildings); A6(1) ("Routine repairs to the building and replacement of fittings in the [church halls and similar buildings]") A7(3) ("The repair of paths and other hard-surfaced areas, including resurfacing in the same material and colour" in churchyards) and A7(4) ("The routine maintenance of, repairs to, and like for like replacement of fences and gates (but not lychgates, walls or historic railings" in churchyards) each of which is likely to reduce significantly the previous workload of DACs. On the other hand it will be noted that A8 (Trees) is deliberately restricted in scope, because significant work to trees raises issues of compliance with planning legislation and is often controversial. Although there is no requirement to seek advice in relation to List A works or proposals, it is anticipated that there are likely to be requests for informal advice. Any question as to whether a particular matter is or is not a matter that may be undertaken under List A is to be determined by the Chancellor. List B matters are those which can be undertaken, subject to any condition specified in List B, without a petition (and thus without a Faculty), without formal DAC advice and without the giving of public notice. The first procedural distinction between List A and List B is that works or proposals in List B can only be undertaken if the Archdeacon has been consulted and has given notice in writing that the matter may be undertaken without a faculty. The second procedural distinction is that where the Archdeacon is consulted on a List B matter, the Archdeacon must seek the advice of the DAC or such of its members or officers as the Archdeacon sees fit before deciding to give notice that it may be undertaken without a Faculty. The third procedural distinction is that the Archdeacon may make the undertaking of the List B matter subject to conditions (specified in the notice in writing) additional to those specified in List B. Such additional conditions are likely to be imposed to reflect the advice the Archdeacon has received when he sought advice. Again, and for the same reasons as in the case of List A, the scope of matters within List B has been set deliberately wide. Attention is drawn particularly to B1(1) ("Works of routine maintenance and repair affecting the fabric of a church or historic material") provided (amongst other matters) the works have been identified as routine items of maintenance in the most recent quinquennial report or in a subsequent written advice from a qualified architect or surveyor; B1(4) ("Works of external or internal redecoration (other than to areas of historic wall painting, even if already painted over)", provided the overall appearance of the building is not changed); B5(1) ("The introduction of benches in a churchyard"; B5(3) ("The routine maintenance, repair and rebuilding of walls"); B5(4) ("The routine maintenance or repair of [not separately listed] lychgates"; and B6(1), (2) and (3) (a wide range of works to trees, including planting, but excluding felling (save where the tree is dying or dead or has become dangerous). Again, this should reduce the number of fairly routine matters formally coming to the DAC, prior to the submission of a petition. As in the case of List A, any questions as to whether a particular matter is or is not a List B matter which may be undertaken without a Faculty is to be determined by the Chancellor. It is open to an Archdeacon to decline to give notice that a List B matter can be undertaken without a Faculty. He may consider that it does not fall within List B, or that for some reason it ought to be subject to full Faculty procedures, including formal DAC consultation and the giving of public notice. If so, the Archdeacon may inform the applicants that they may, if they wish, petition the court for a Faculty to authorise the proposal. DACs will be informed whenever the Archdeacon gives notice in writing that List B works or proposals can be undertaken, because the Archdeacon must send a copy of every such notice not only to the Diocesan Registrar but also to the Secretary of the DAC. The notice must specify the proposals which may be undertaken without Faculty and any additional conditions. It would be disproportionate and contrary to the spirit of List B for the DAC to seek to track the way in which every List B matter is implemented; but the DAC may consider it appropriate to carry out some monitoring, through spot-checks, to enable informed conclusions to be drawn about the effectiveness of the new List B in their diocese. the introduction of, or the carrying out of any work to, a monument of the kind referred to in section 3 of the Faculty Jurisdiction Measure 1964. The Chancellor may add items to Lists A and/or B by making an "Additional Matters Order" or exclude matters by making an "Excluded Matters Order". There are no current Additional Matter Orders or Excluded Matters Orders for Peterborough Diocese. The fact that a matter may be undertaken without a Faculty, whether under List A or List B, does not remove that matter from the jurisdiction of the Chancellor. There will be occasions when a petition for a Faculty is sought, notwithstanding that some elements within the proposed or proposals falls within List A and/or List B. That will be appropriate to ensure that the proposed scheme is looked at holistically. And general supervision of the proper application of Lists A and B remains with the Chancellor. Save in two respects the Archdeacon's jurisdiction will no longer operate. This is because much of that jurisdiction is now replaced by the new List B. Therefore there will no longer be any circumstances in which Archdeacons grant Faculties. Archdeacons have the power to make an order for the removal of an article to a place of safety. A place of safety order must be followed up by the Archdeacon petitioning for a Faculty and the Chancellor must seek the advice of the DAC before determining that petition. Archdeacons have the power to give a licence authorising a scheme of temporary minor re-ordering of a church for a specified period not exceeding 15 months. A temporary minor re-ordering can include the church's fixtures and fittings (this had hitherto been a matter of legal dispute). The scheme must not involve any material interference with or alteration to the fabric of the church and Archdeacons have power to amend or revoke a licence. Before giving a licence, Archdeacons must seek the advice of the DAC or such of its members or officers as the Archdeacon sees fit (replicating the position under List B). There is a requirement that these include any advice or other material obtained by the intending applicants relating to the environmental implications of the works or proposals. It is hoped this will alert applicants to the importance of taking environmental implications into account; and where DACs consider that applicants should submit evidence that environmental considerations have been taken into account, they should ask for this. The application will need to include the DAC Form 2, a copy of the PCC resolution signed by the chair/secretary, copies of the specification and plans or details of the proposed works as described in the petition and advice and materials relating to environmental matters. Also copies of any relevant correspondence received from Historic England, the local planning authority, any national amenity societies, the Church Buildings Council or any other body or person. Mention has already been made of the restrictions on use of List A and B powers in respect of listed buildings (above). The precondition for consultation with Historic England, amenity societies and the local planning authority has been extended to include any proposals which involve demolition of a listed building. This reflects the amendments made in relation to procedures for the demolition of churches by section 13 of the Church of England (Miscellaneous Provisions) Measure 2014. Apart from the inclusion of certain tree-related matters in Lists A and B in Schedule 1 to the Faculty Jurisdiction Rules 2015, two further matters should be noted. First, the duty to give guidance in relation to trees now lies with the Church Buildings Council ("CBC") and not with Chancellors. It is to this CBC Guidance that reference is made in the specified conditions to A8 of List A and to B6 in List B. Second, given that most works to trees will now be covered by the two Lists, there will no longer be a tree-specific form for a Faculty petition relating to works to trees, and the standard Forms 3A (or 3B) should be used in those cases where a Faculty is still required. The Rules provide that, not later than the day on which the petition is submitted to the Diocesan Registry (or on a later day if the Chancellor so directs) the petitioner must display public notices for a period of at least 28 days at the church. 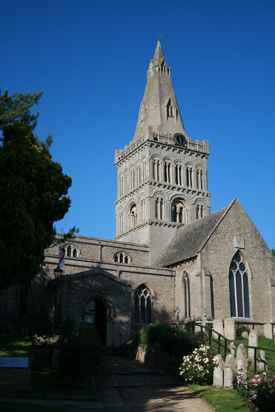 Also, where a petition relates to a Grade I or II* listed church or the exterior of a Grade II listed church or involve demolition affecting the exterior of an unlisted building in a conservation area, notice of the petition should be published on a diocesan web site, giving the date by which objections must be notified to the Diocesan Registrar. The notice must be displayed on a Diocesan website for 21 days. It is therefore very important that, immediately a public notice is put on display at the church, a copy of the notice, as displayed, is sent to the Registrar, so that the Registrar can enter the details on the website, advising people of the last date for objections. For those responsible for the maintenance of church buildings, some useful information can be found at the Church of England's Church Care web site.